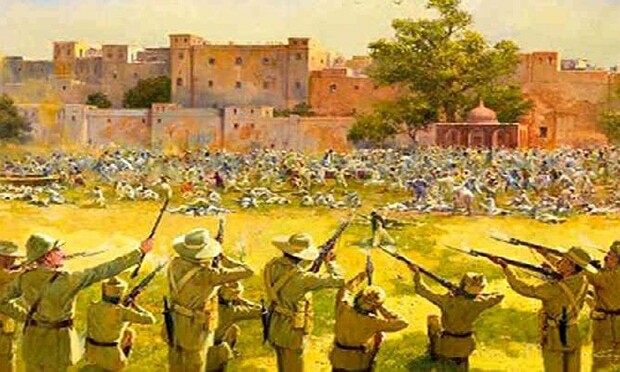 Join us in marking the 100th anniversary of the Jallianwala Bagh (Amritsar) massacre, when British troops fired on a peaceful crowd of unarmed men, women and children, murdering more than 1,000 in cold blood and injuring several thousand more. The massacre provided the spark that kindled the flame of rebellion amongst a new generation of freedom fighters, most prominent among whom was India’s legendary martyr Bhagat Singh. A presentation by Comrade Rango of the CPGB-ML to the Stalin Society, followed by discussion. The Stalin Society was formed in 1991 to defend JV Stalin and his work on the basis of fact, and to refute the capitalist, revisionist, opportunist and Trotskyist propaganda directed against him. They have employed a variety of tactics to this end over the last 90 years, but have been guided to a large extent by dissidents who betrayed the Soviet people, most notably Leon Trotsky. The powerful US-based Hearst press, sympathetic to Hitler, was a pioneer in these methods, but the rest of the capitalist world’s media and political elites have not lagged behind. All welcome to this meeting who are genuinely interested in the content, ready to listen respectfully to the speaker and wishing to take part constructively in the discussion that follows.